Prima Marketing-Art Basics Heavy Gesso. White, opaque, matte and ground acrylic! Works well on canvas, wood, paper, metal, chipboard, fabric, plastic and more! Dries quickly. Works well for a variety of color products providing a smooth, non-yellowing, chalky background. 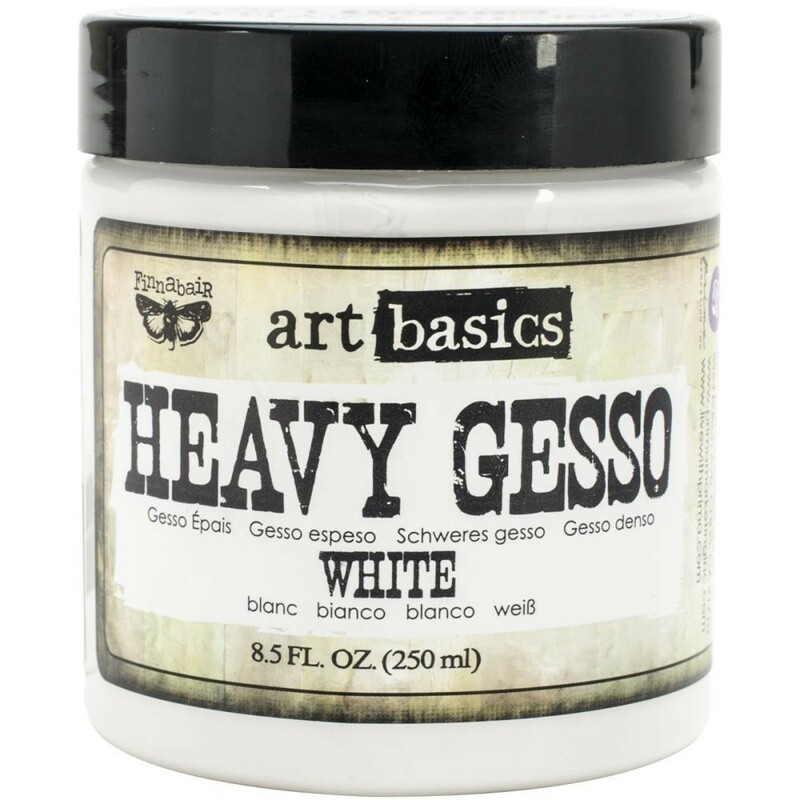 Gesso is water-based, but permanent and flexible after drying. Will mix with pigments, or acrylic paints, to create a range of customized, colored grounds. This package contains one 8.5oz jar of heavy gesso. Archival safe. Non-toxic.